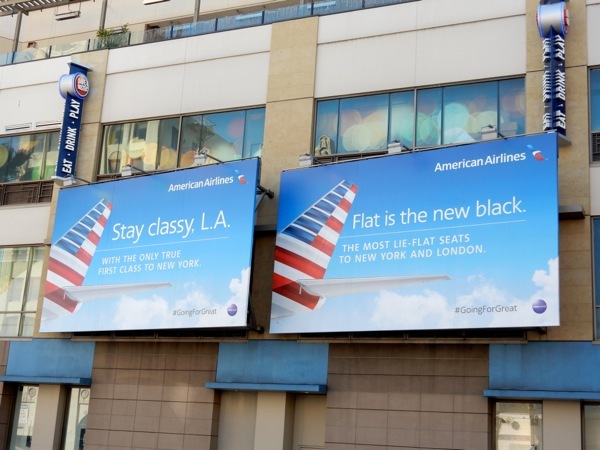 This past month American Airlines have taken flight in the skies of Los Angeles with a whole new fleet of billboard ads. 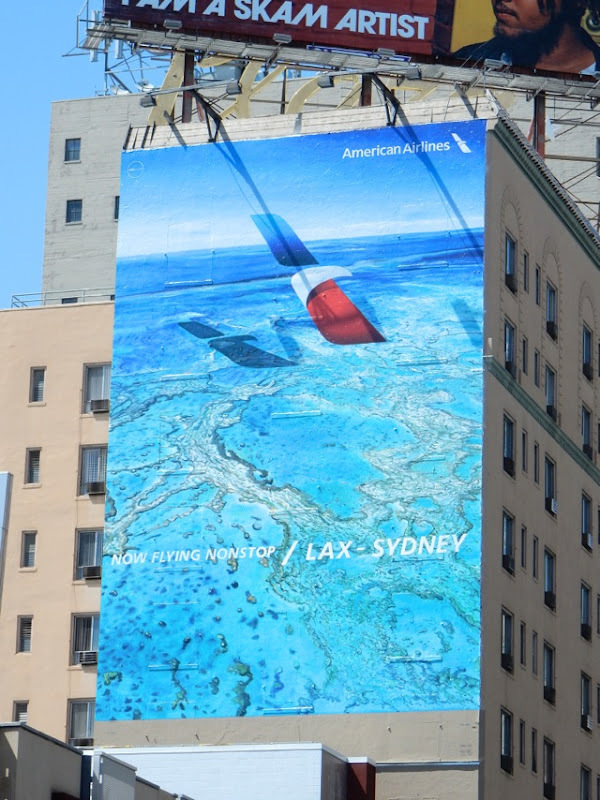 This outdoor ad campaign by Colorado's Crispin Porter + Bogusky features the airline's stylized eagle logo (which has proved controversial with some customers and employees who preferred a more traditional bird design) and the sleek design certainly stands out in the city skyline. 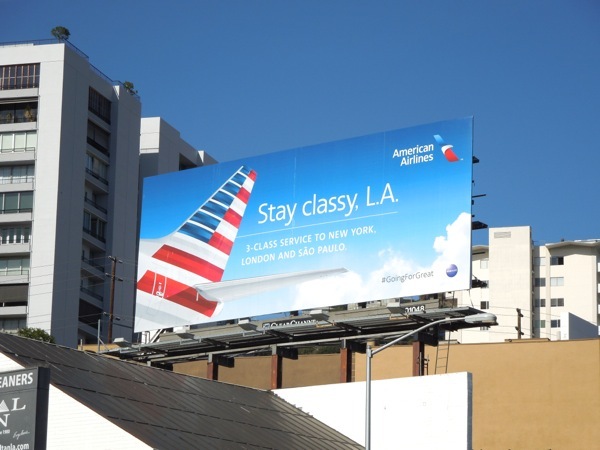 These AA billboards seem to focus on high end travelers, trying to lure business and first class customers, so let's hope they have the in-flight service to matches the promise of these ads. 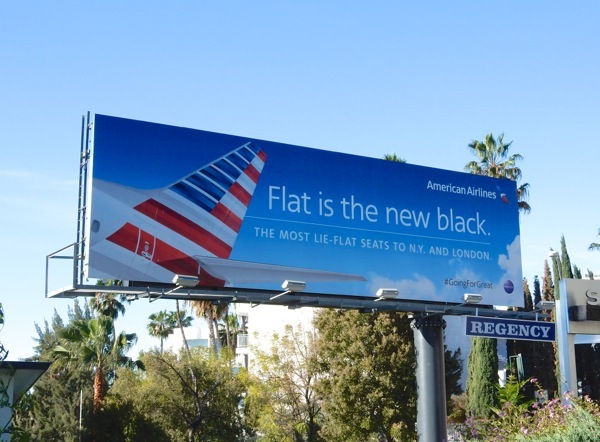 With the whole airline industry consolidating in recent years, American Airlines merging with U.S. Airways, United buying Continental and Alaska Airlines snapping up Virgin America this year, the skies are becoming less crowded with brands and unfortunately less competitive for consumers. 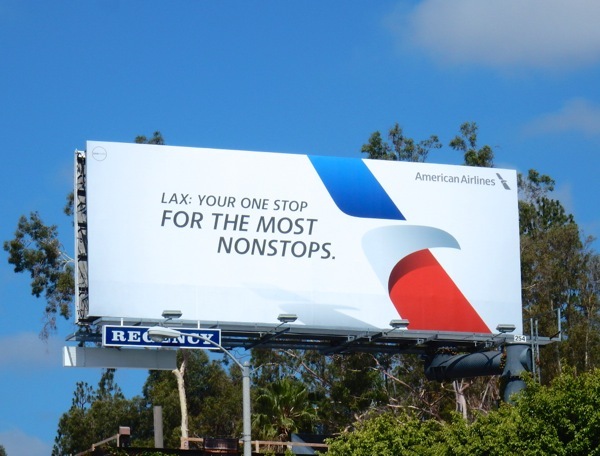 Only time will tell whether this campaign will help set AA apart from the other contenders in the eyes of its passengers. 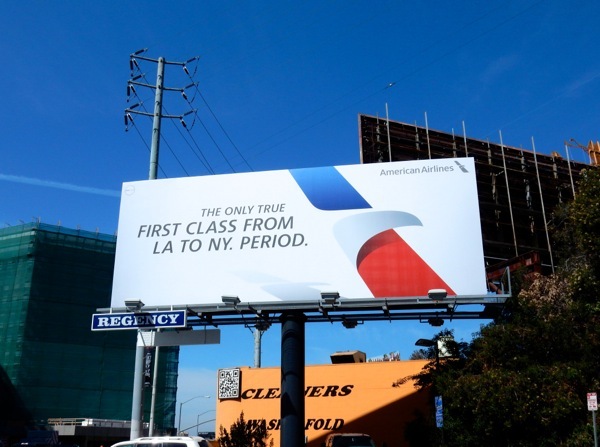 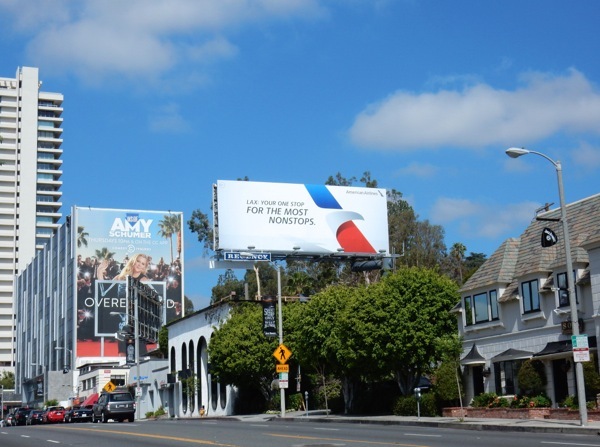 These American Airlines outdoor ads were snapped along the Sunset Strip, high above Hollywood & Vine and along Bundy Drive from May 1 to May 7, 2016. 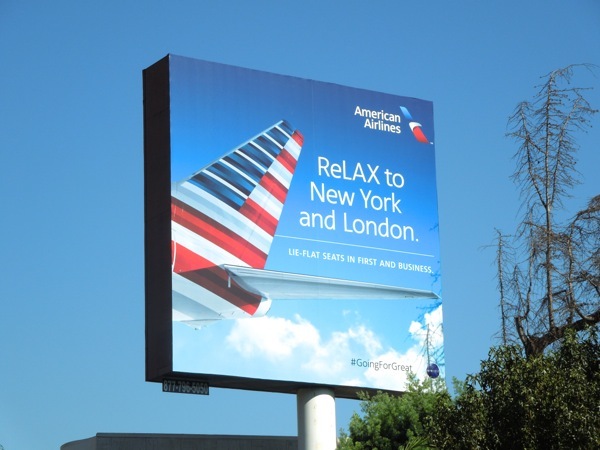 For more airline advertising examples, be sure to also check out all these Virgin America billboards, these giant Emirates Airlines billboards and this 3D sleep mask billboard for Air New Zealand. 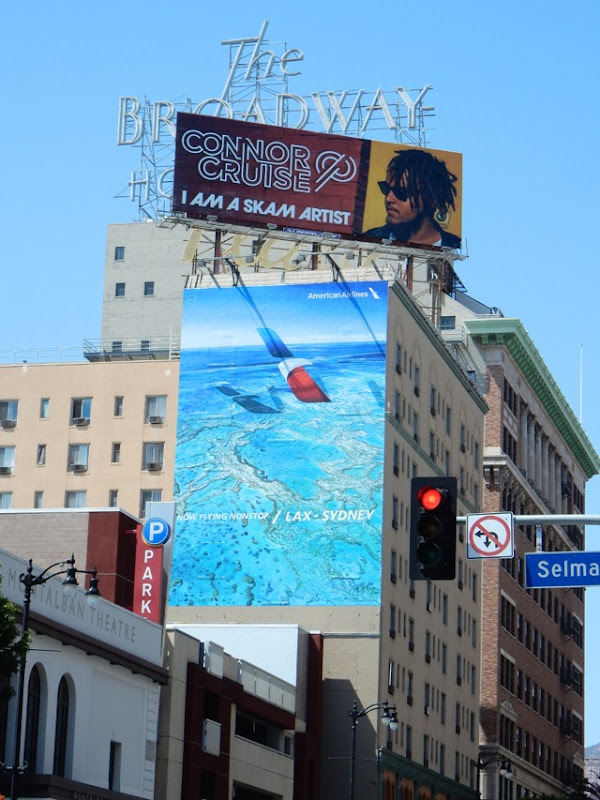 Today Daily Billboard is in the air flying back to L.A. from the U.K., so we're keen to see what new visions in vinyl have filled the streets and skies of the City of Angels since we've been away. 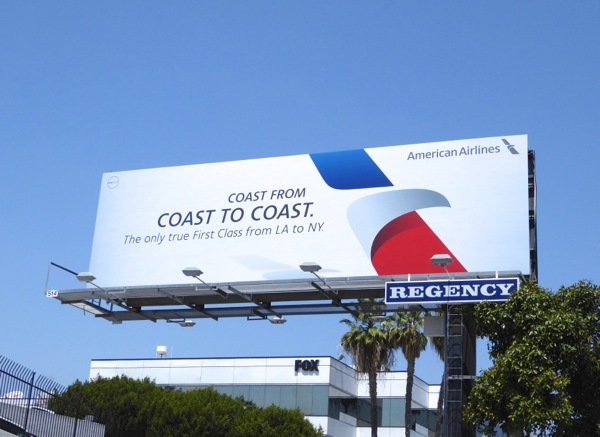 UPDATED: As a comparison Daily Billboard has delved into our archives to find these billboards from American Airline's previous 'Going for great' ad campaign. 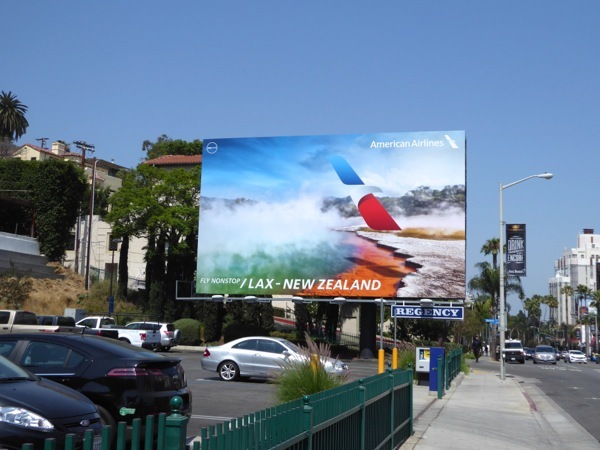 These ads were created by the McCann Worldgroup and were photographed around the streets of L.A., including the Sunset Strip, Highland Avenue and Santa Monica Boulevard, from October 24, 2014 to March 20, 2015. 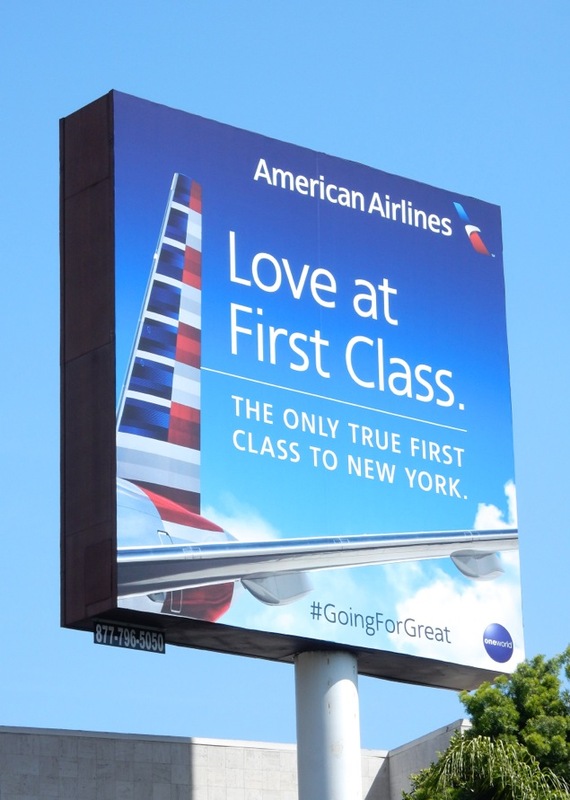 Focusing on the patriotic tail fin of AA's planes, the locally-tailored ads had a conversational tone and were aimed at the high-value customers who bought lots of first and business class seats. 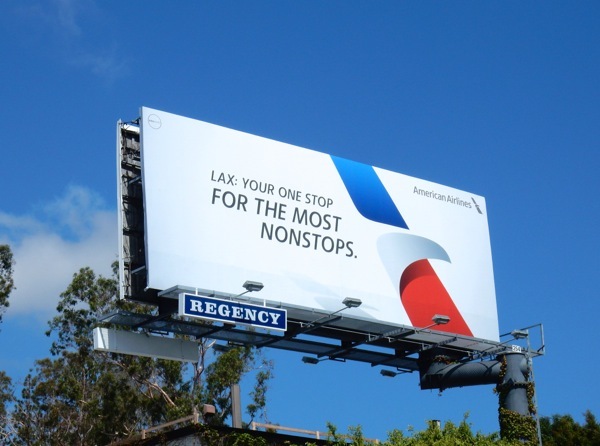 Now you've seen examples of both outdoor campaigns, which billboards do you think were a soaring success in the skies of Los Angeles? 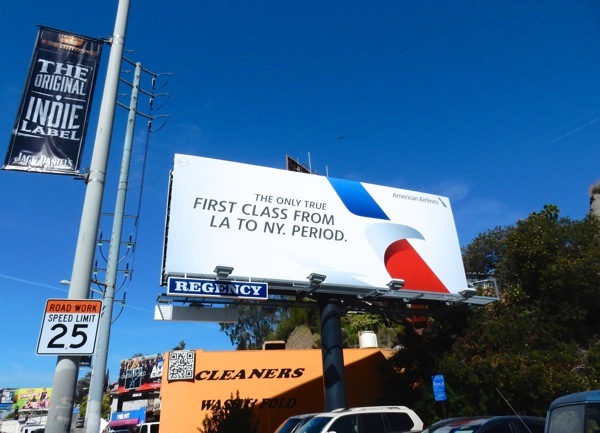 Past or present? 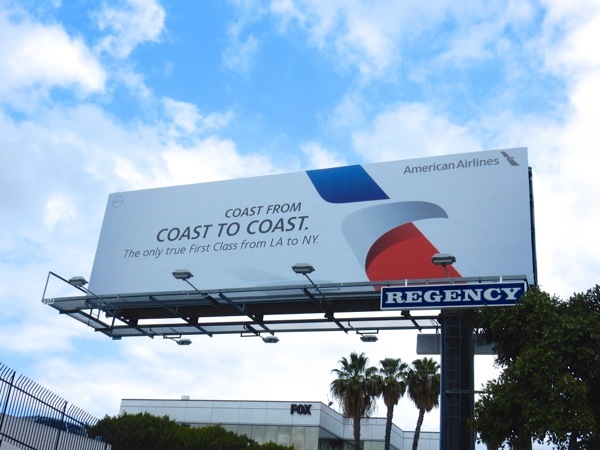 UPDATED: Here's also the new 'Coast from Coast to Coast' ad creative along Bundy Drive on a sunnier June 2, 2016. 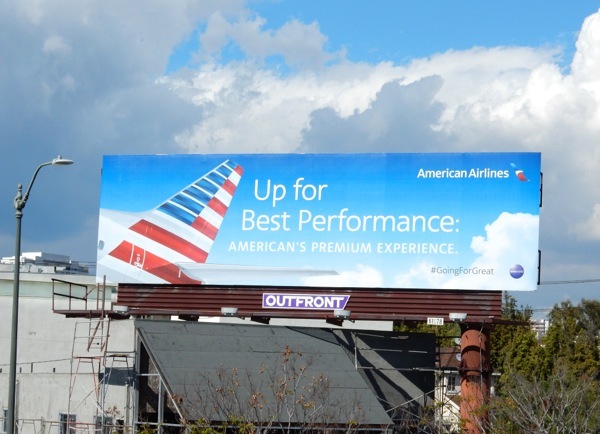 Daily Billboard had missed the shadow cast by the AA logo on the ground below until we revisited this billboard. 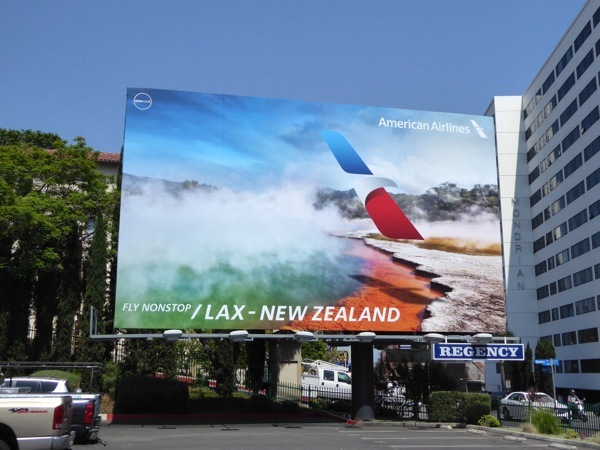 UPDATED: Here's another colourful creative for the airline's nonstop service from LAX to New Zealand, snapped along West Hollywood's Sunset Strip on June 29, 2016.